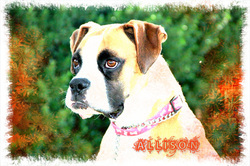 Allie certainly cuts a dramatic figure, with silent movie star looks and Panda Bear eyes she definitely stands out in a crowd. 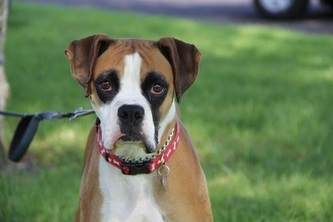 Despite her nod to a bygone era Allie is a thoroughly modern girl-on-the-go who needs a family that can keep up with her hectic schedule. 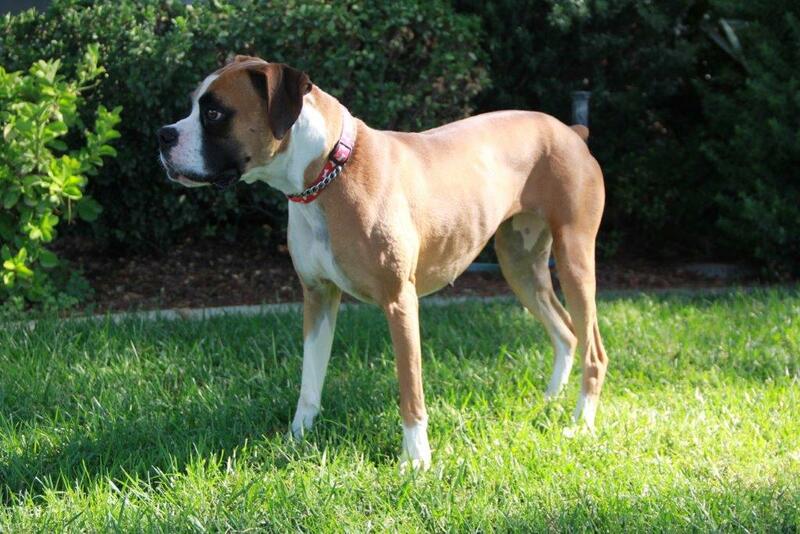 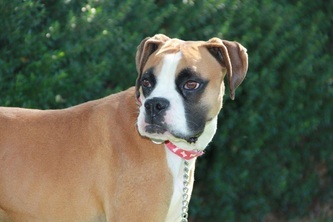 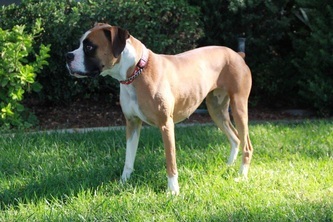 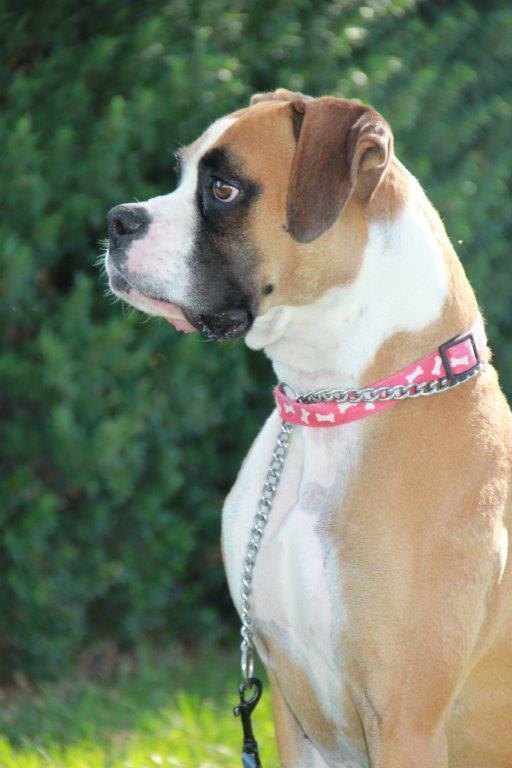 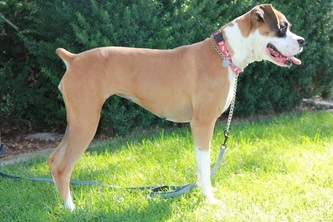 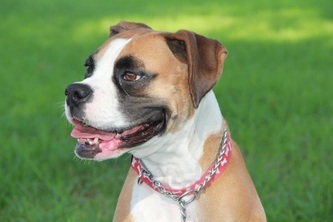 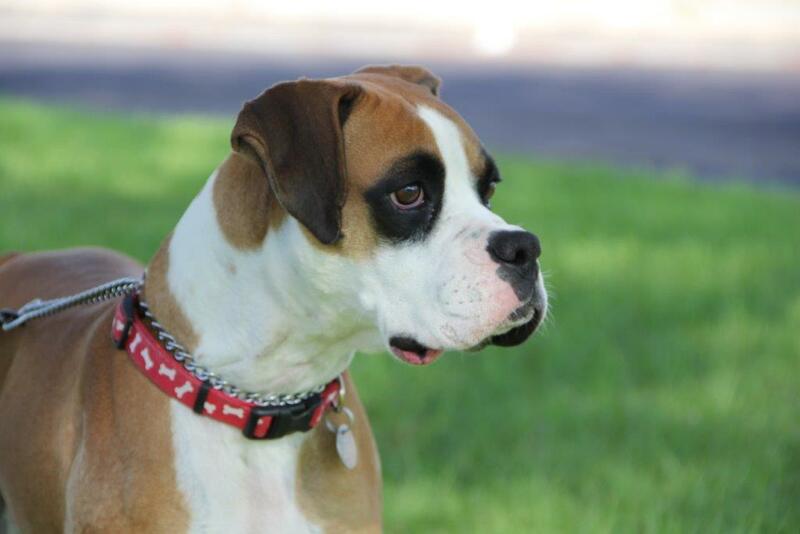 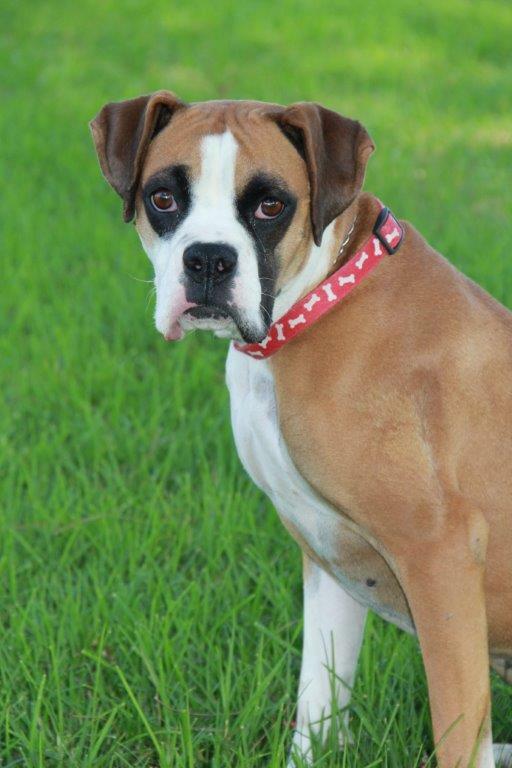 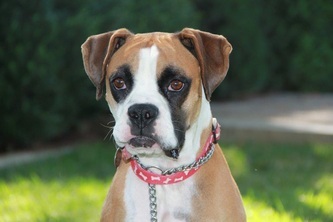 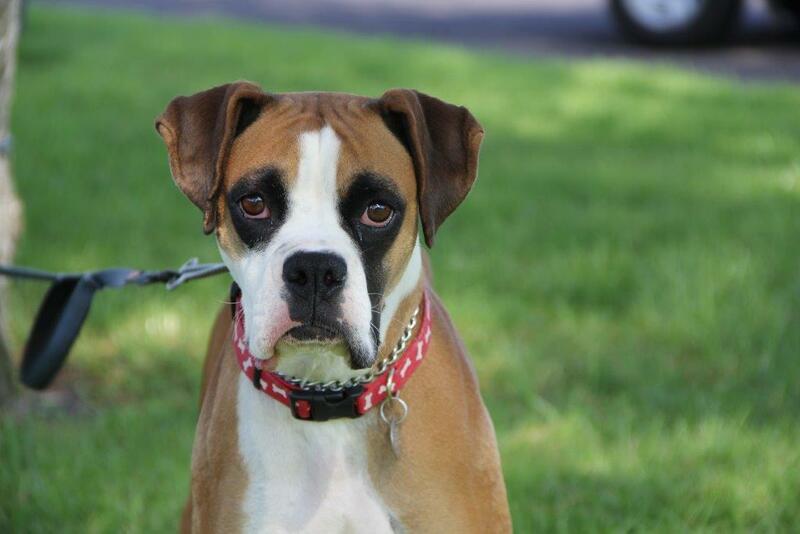 Let us know if you've got the moxy to keep this young Boxer babe entertained and happy!